Making zesty, Crispy Pickled Onions is easier than you think and you will never buy store bought again. You’ll love this recipe and we have an easy to follow video too. Steve from Steve’s Kitchen never ceases to amaze us with his incredible recipes and the great tutorials that go with them. 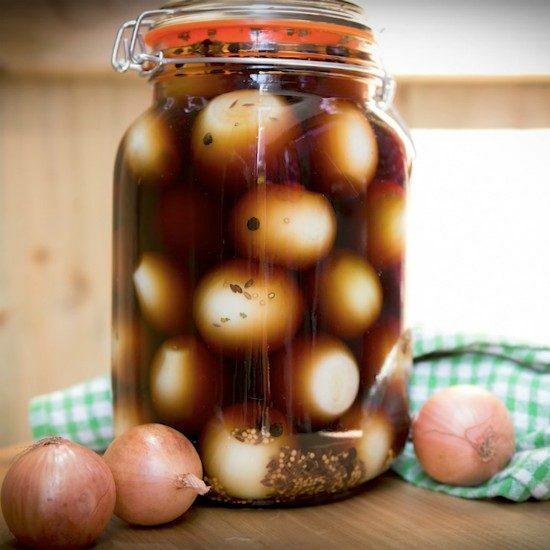 If you’ve ever wanted to make Pickled Onions, then just follow Steve along as he shows you to make them crispier than ever! The great thing about this recipe is that you don’t need to boil the onions. According to Steve, this is what produces a soggy result. The recipe will fill a 1.5 Litre Mason Jar. They make a fantastic homemade gift for family and friends and everyone will love them. Be sure to add a cute label and the recipe on them too. Top and tail and peel the onions and place into your pickling jar. Close the lid tight and then I turn the jar upside down on a saucer (just in case there is any leakage) for about a week. This allows the top onions to get fully immersed in the vinegar and start to be infused. Then turn the jar the right way up and store for a further 3-5 weeks. 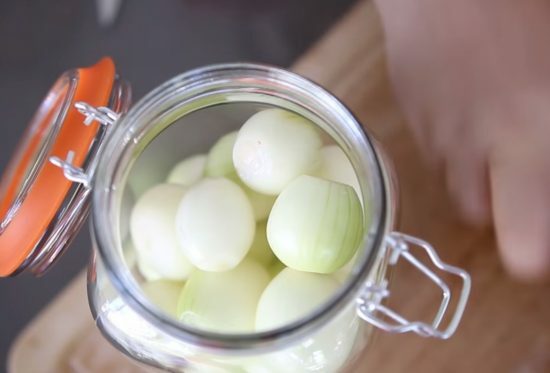 Store your pickled onions in a dark spot and allow to mature.